Standard Vs. 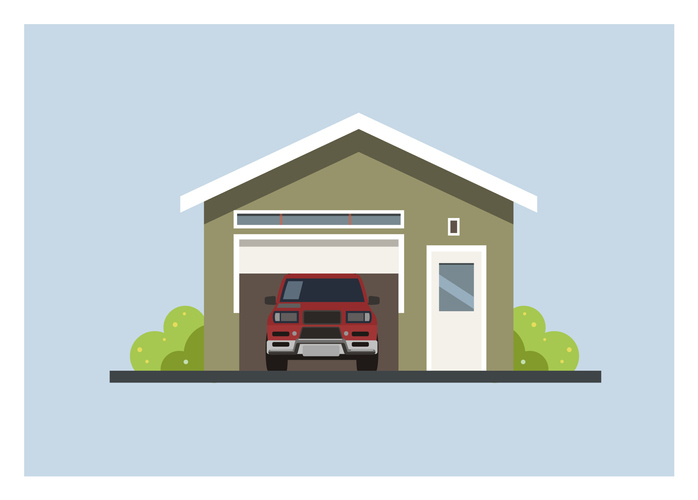 Storage Auto Insurance: Which Product Do You Need? According to the Insurance Bureau of Canada, many recreational vehicle owners could be carrying the wrong type of auto insurance or not enough auto insurance. Figuring out how to properly protect seasonal vehicles represents a common area of confusion for motorists, especially if you have one vehicle you drive year-round and other vehicles you drive only during a specific season. If your seasonal vehicle isn’t carrying the right type of insurance, you may be putting your investment at great risk. In this article, learn the difference between storage insurance and standard auto insurance, how each product works and how to know which product you need! What Is a Seasonal Vehicle? At its most basic, a seasonal vehicle is any vehicle that is not in use all year long. Common examples of seasonal vehicles include snowmobiles, recreational vehicles (RVs), classic cars, mopeds and motorcycles. Most Ontarians put their seasonal vehicles into some type of secure storage during the off-season. What Is Storage Vehicle Insurance? Reducing insurance coverage while your vehicle is in storage may save you money. When a seasonal vehicle is in use, you need full insurance coverage on it, including liability insurance. You also need to be sure the vehicle’s license plate sticker is current. These are legal requirements that protect you and others while you are operating that vehicle on or off the roadways. However, when you put your seasonal vehicle into storage, you do not need coverage for road use. You may be able to remove liability insurance and collision coverage during the off-season and save money. Note that if your insurance coverage includes Comprehensive coverage (fire, theft, vandalism etc.) you should always keep this coverage on the vehicle while it is stored. Some seasonal vehicle owners choose to let their insurance lapse or even cancel their policy for that vehicle during the off-season, but this is not advisable. You don’t ever want to drop the comprehensive portion of your vehicle insurance policy, since this is your only protection against seasonal vehicle loss or damage due to fire, theft, natural disaster, vandalism and other non-collision threats. When you are preparing to garage a seasonal vehicle for the off-season, you will need to call your broker to let them know you are ready to drop back to comprehensive-only insurance coverage. Similarly, when you are preparing to take a seasonal vehicle out of storage for use again, you will need to make a note in your calendar to call your broker in advance to reactivate your standard vehicle insurance coverage. When taking a vehicle out of storage, always be sure your license plate sticker on the car is current. Note that there are circumstances when you will not simply be able to delete “driving coverage” from a seasonally used vehicle. You may need to pay the premium for full coverage and temporarily “suspend” the coverage you do not need. When full coverage is added back onto the vehicle, you will receive a credit/refund for the time the coverage was suspended. What Is Included with Coverage Needed to Drive a Seasonal Vehicle? Your third-party liability rider protects you if you cause harm or death to someone else or their property in an auto incident. Your statutory accident benefits protect you if you are injured in an auto incident regardless of who is at fault. There are also a number of optional riders you can elect to purchase. You should review Accident Benefits options with your broker. DC-PD provides you with compensation if your vehicle or its contents are damaged or lost due to the actions of another driver (if certain other conditions are also met). Uninsured automobile coverage protects you against hit-and-run drivers and uninsured motorists. Certain types of vehicles, such as motorcycles and snowmobiles, are seasonal by their nature. For these vehicles, the full premium is earned during the season they are typically used. For example, traditional motorcycle insurance is designed to cover the policyholder year-round but is automatically prorated to account for storing the bike in the winter. It is not necessary to change the coverage seasonally, and there are no premium savings if you do. Here at Mackay Insurance, our knowledgeable, experienced team of brokers has more than 165 combined years of cross-disciplinary insurance industry expertise. We can get you the most insurance for the most competitive pricing with all the available discounts. If you prefer, you can also use our easy online quote generator tool to receive a free insurance quote on the product of your choice within minutes.